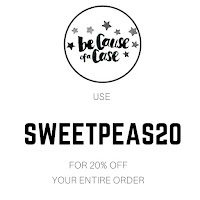 Hello there and welcome back, hope your day is off to a great start! 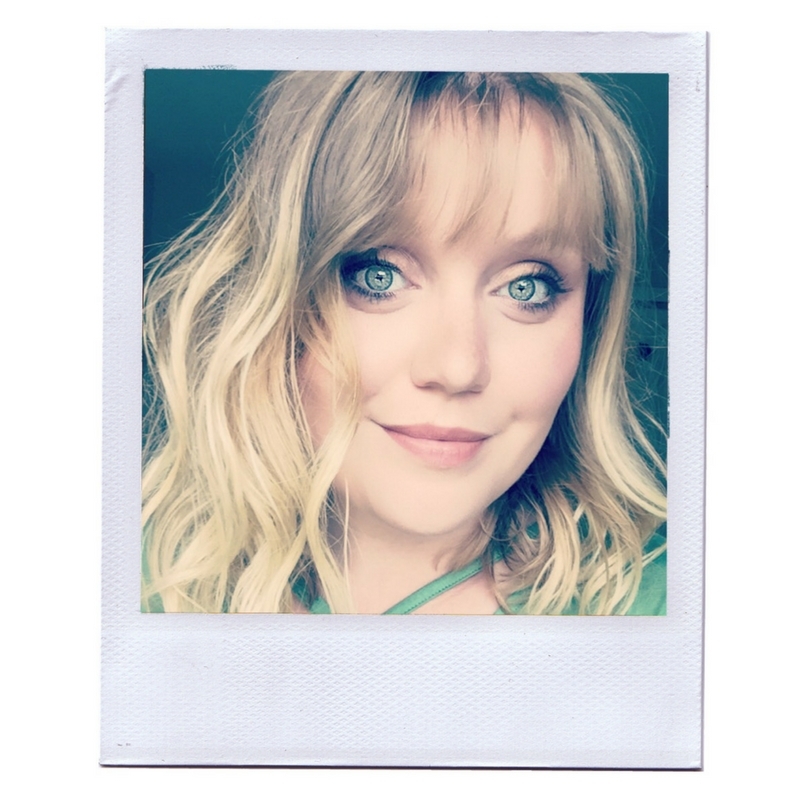 Today I have 2 blog posts for you and this one has some nail art. 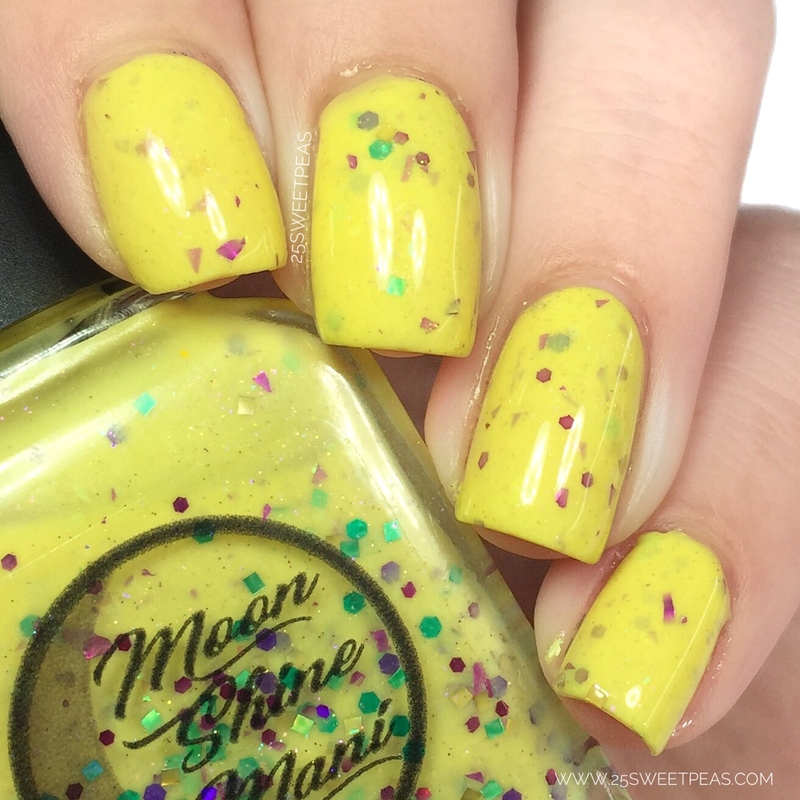 The Polish Pick Up is coming up this upcoming weekend and the theme is Villains so today I have a look at Moon Shine Manis Villain polish! A neon goldenrod crelly filled with a mix of fuchsia and green glitters and flakies, green to purple chameleon flakies, red/green micro chameleon glitters, and finished with a sparkling of pink/gold/green aurora shimmer and gold holo dust. 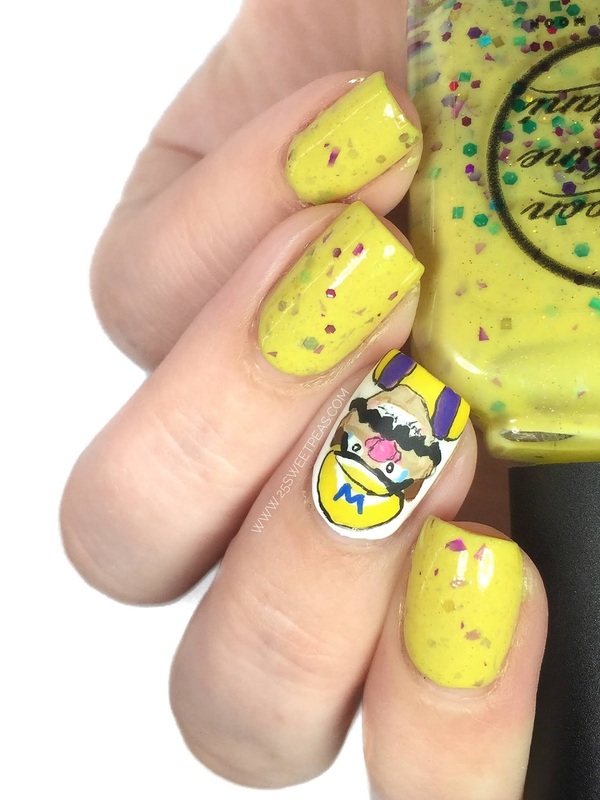 So if you couldn't tell from the very first photo in this post, this polish is inspired by Wario from Mario commonly viewed as a Villain in the game. If you aren't familiar with him tho her wears a yellow shirt, purple overalls and has a few other pops of color such as on his hat, shoes, and gloves. 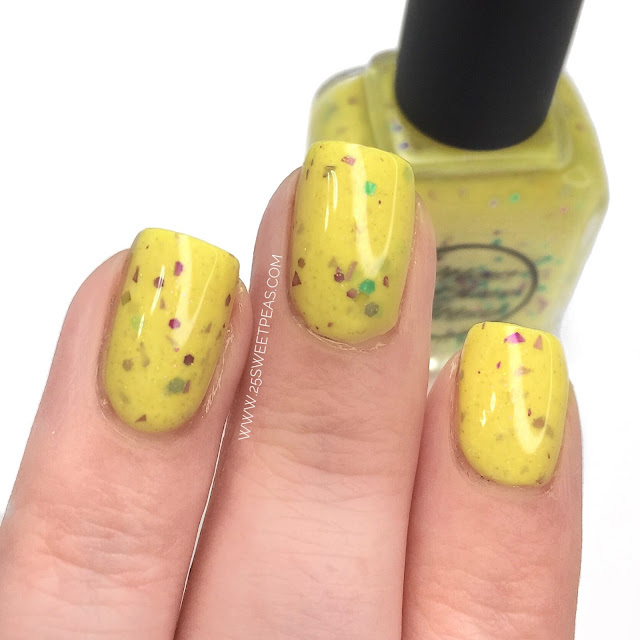 So this polish really put his style in a bottle and its just so fun! The formula was super nice and easy to work with so if you want to build up with numerous layer to have more glitters and flakies appearing you can and it will be easy! 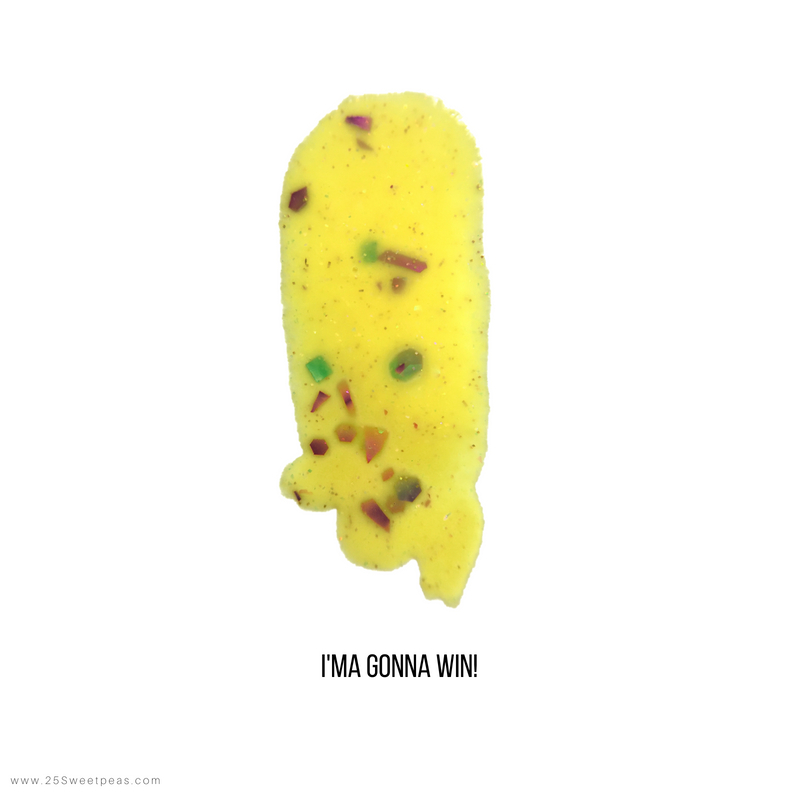 However if you are happy with 2 you can also be done there. Reason being its full coverage with 2 coats. 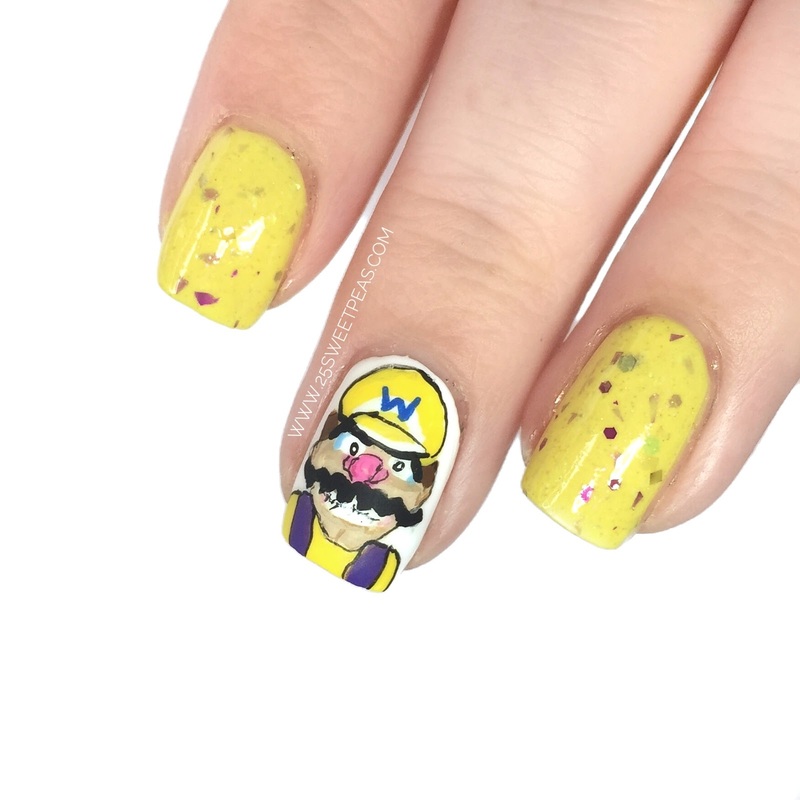 Since it was inspired by a animated Character I was/am familiar with I had no reason to NOT do some Wario Nail art! It was very tricky to be honest, but also SOO fun, especially since I haven't done this scale of detailed art in quite sometime. 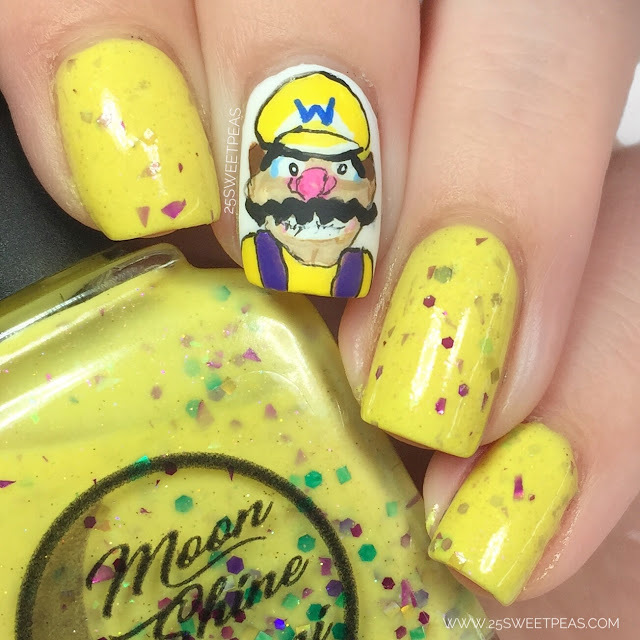 I freehanded him with acrylic paint as and accent because I wanted him next to the inspiration so you could see how it really is a good Wario Polish! 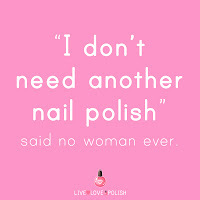 Well guys, thats it for this polish! It will be available On Friday through the weekend on Polish Pick Up which you can visit here and find out how it works. 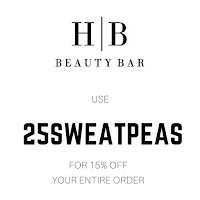 This polish will be $11 and there is no cap! 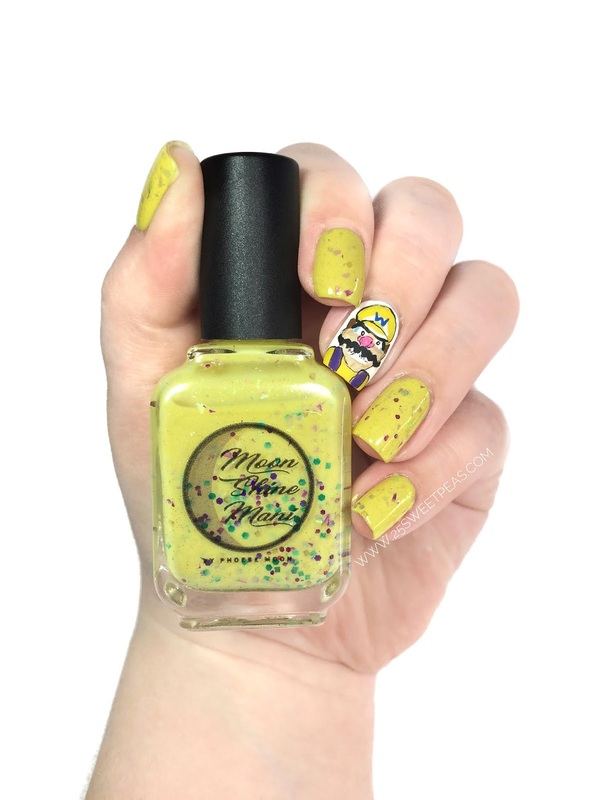 Below I have links to the Polish Pick Up Shop so you can head there, and then also one to Moon Shine Mani in case you want to check out other polishes by MSM because they are all amazing! Sarah - love your nail art on this one! brings back memories of playing video games! The glitters in this polish are so fun! They are like a throwback to wild 90's patterns! 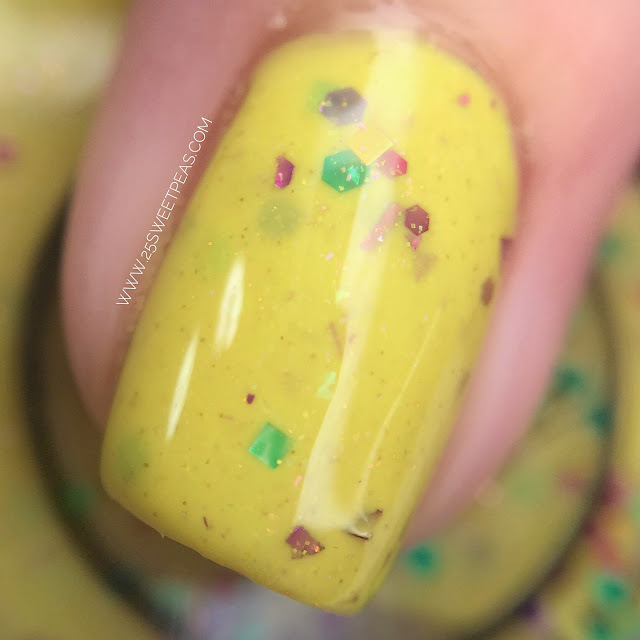 When I see this polish, I think of giraffes. lol.